Just got a message from LivingSocial. 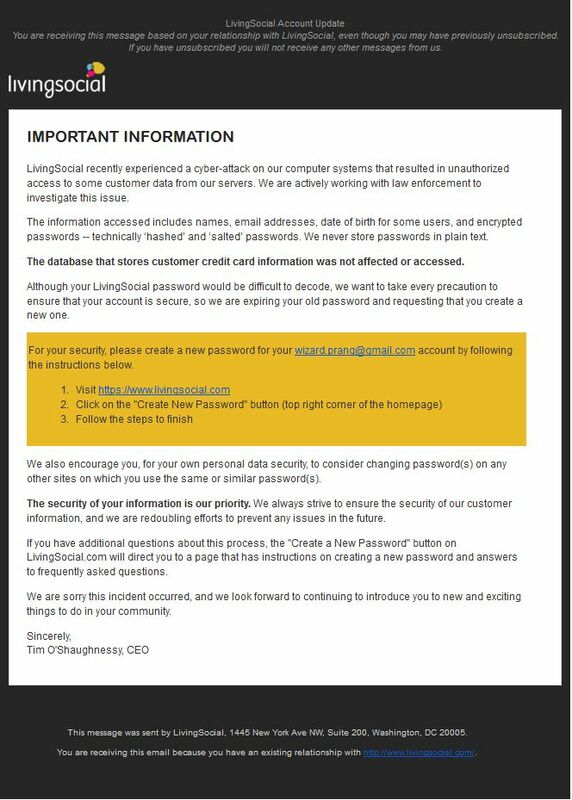 The bad news is that somebody apparently hacked into their server and got their hands on names, e-mail addresses and passwords. The good news is that the passwords were salted and hashed. And even if I was, the password they stole is quasi-random and never used anywhere else. This post started as a rant at Microsoft. Last patch Tuesday, one of my machines auto-patched and auto-rebooted, causing data loss and corrupted files. However, the damage was minimal, and I got over it. Since then, however, something quite worrying has happened. I have an old Hotmail address that I occasionally check; I used it before I moved to GMail, which is superior in every way, some years ago. 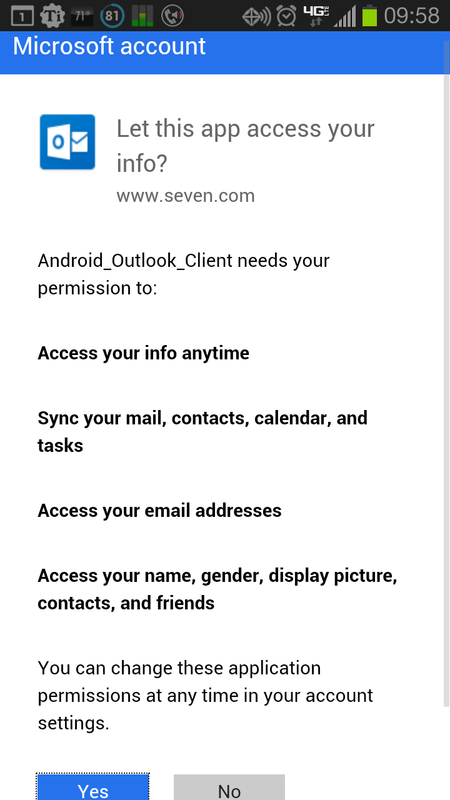 I use the Android Hotmail app to access it from my phone. 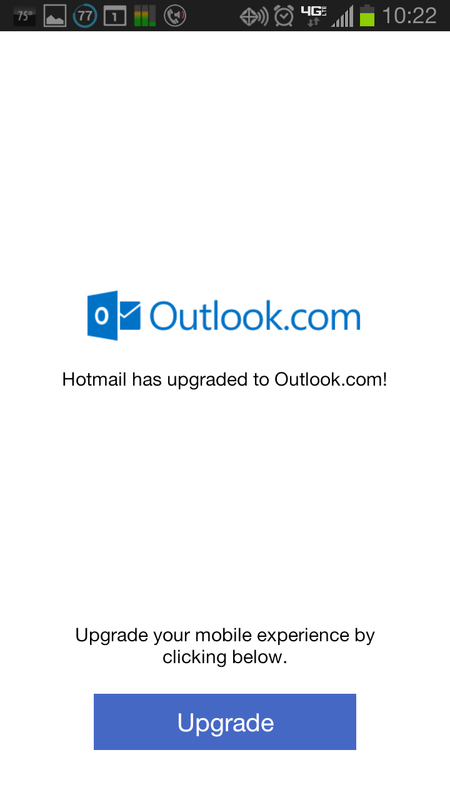 Some time within the past few days it auto-updated, and when I ran it this morning, it instructed me to “upgrade” to the Outlook.Com app. Hotmail no workie no mo! So… I Installed the new shiny Outlook App. 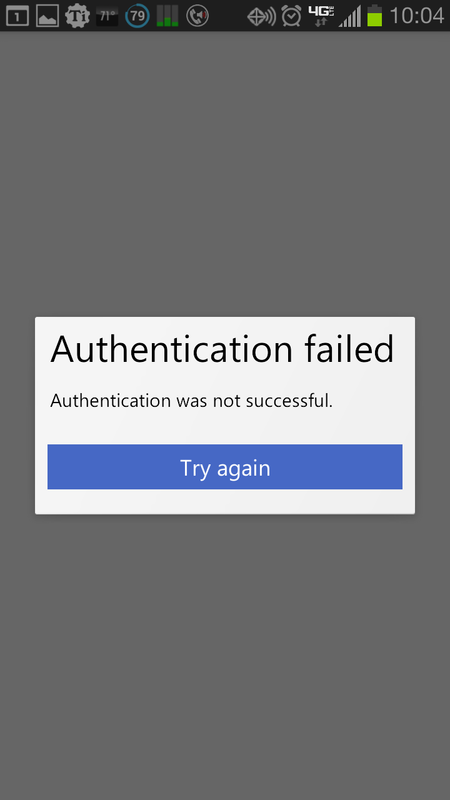 Surprisingly, the new app did not remember my login credentials. That is because it is also not an “upgrade” at all – it is a completely different app – the old, now-useless and completely brain-dead Hotmail app was left in place. When I entered my credentials, it took me to another screen where it asked for permission to access my data. I checked the password. It was OK. Note that this request for information is in the app itself, NOT in the Play store. And before you ask, yes, you can “change these settings at any time”, but any app that is given access to your phone’s information can scarf all the data it wants in half a second, changing permissions later would be like locking the barn door after after the horse had bolted and was merrily cavorting in the next county. This looks like Microsoft is trying to scarf my personal data by stealth, without going through the Google Permission screens. If so, they should be soundly spanked in public for this. How can you tell? Simple. If Microsoft are not trying to… er… “borrow” your data, they will fix this so the app can be used without those “permissions”. If they don’t, just like Verizon’s broken-for-eight-months-with-no-fix-in-sight data-usage widget, we will know precisely where they stand. Until then… Shame on you, Microsoft. April 15th is now behind us. Some of us have sent away checks, some have received refunds. I filed mine in March, so for me it is ancient history. I find it fascinating but deeply ironic that after several failed attempts, when income tax became legal, salary was not considered “income”. Your salary was considered the result of bartering your time for money, and hence was not taxable. Things were much simpler then Income was when something came from nothing; like farm crops or investment income. Nowadays, this is called “Capital Gains”. It is also ironic to consider that the United State survived and thrived quite happily for over a century and a half without income tax. Just as ironic is the fact that income tax is a “temporary” tax that has to be voted by Congress. Every. Single. Year. Nobody likes paying taxes. Taxes are evil. But they are a necessary evil. If we want infrastructure like roads and freeways, infrastructure like sanitation and communications, government-run institutions like schools and prisons, taxes have to be collected. Nearly half of the taxpayers pay no federal income tax, but they get the benefit of all of these things. Fair enough. If we had to pay our taxes in one big check at the end of each year there would be a tax revolt. So the powers that be institute a “bleed-them-slow” policy that takes a bite out of every paycheck. If you are a conservative, taxes are always too high – taxes throttle trade and depress economies. If you are a liberal, taxes are always too low – here will always be more poor folks that need “help”, or some deserving cause that needs to be adequately funded. They’re both right, but either way, someone else should pay them. And so begins the never-ending search for deep pockets. Everybody is looking for someone else who can pay the lion’s share of the taxes. The poor can’t afford to pay taxes. Sad but true, get over it . The rich can afford not to.Get over that too. That leaves the middle class – those who can afford to pay taxes and don’t have the patronage or the power to avoid it by legal means. Everybody wants tax reform. But nobody wants tax reform that will hurt them. For instance, I would be in favor of dropping all taxable deductions, including home mortgage (if you can’t afford a house, don’t buy one), dependents (if you can’t afford kids…), charitable donations. the lot. Because every tax deduction I get shifts the tax burden on to somebody else. The problem with this approach is that implementing it would hurt the Real Estate business – people would buy smaller houses because the mortgage deduction would no longer be there. It would also hurt the banks and financial institutions that write the mortgages. But wait! There’s more! Charitable donations would drop through the floor. I tithe irrespective of deductions, but many people – particularly the very rich – give large amounts of their taxable income to charity, presumably on the assumption that a charity can be trusted more than could the government with the tax dollars that this income would attracts if they kept it. But if there was no incentive to give away the money, how many people would do so? There is much talk that if all deductions were removed, the effective tax rate could be cut in half and the same amount of money would be raised. This sounds good until you think about Value Added Tax – or VAT. This tax was introduced in the United Kingdom in 1973 as a 3.5% tax on “luxuries”. When I left England twenty-one years later, it was a 17.5% tax on everything but basic foodstuffs. Deductions also carry an element of social control; the government telling us, in effect, what behavior they consider acceptable. Have lots of kids. Live in a house. Don’t work. Don’t work? Yes. For the harder you work, the more tax you get to pay. But that is another story for another time. A “Temporary” Tax will live to celebrate its hundredth birthday. You get more of whatever you subsidize.